Marriage customs in Scotland are numerous and diverse. 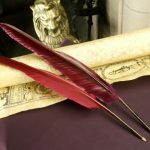 In this post we look at a handful of them, including a few which have evolved over centuries and one or two which are no longer practised. 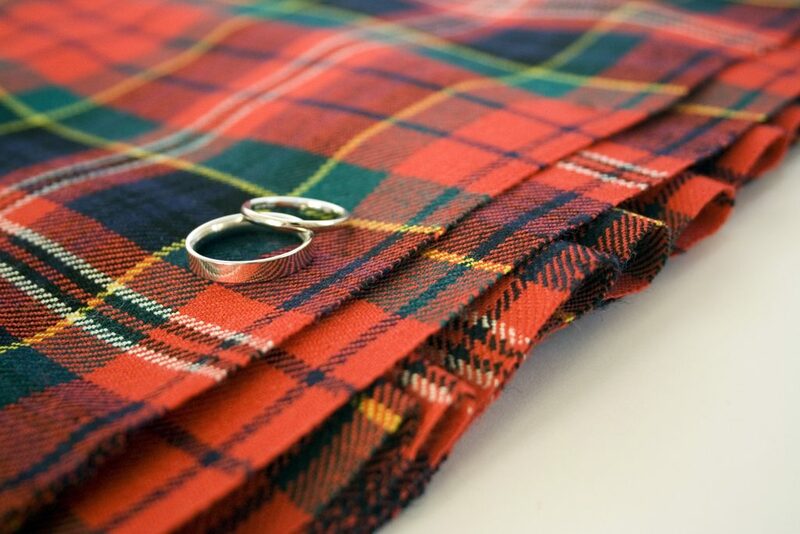 In Gaelic-speaking communities, a còrdadh (agreement) would be made between the bride and groom a few weeks before the wedding. This would take place in the house of the bride’s father. Friends of the bride and groom would also be in attendance and a series of ‘false brides’ would be brought in with humorous results, especially when they included married or elderly women. Food, drink and laughter would be in plentiful supply. In this recording, Flora MacCuish from the island of Berneray discusses a còrdadh she attended as a young woman in the 1920s. At the event, a friend of the groom pretended that he was looking for a wife or a servant for a certain man. The bride’s friends were each brought out and the groom rejected them all as unsuitable, until the bride herself appeared. The rèiteach (betrothal ceremony) would then take place a week or two before the wedding. This was an informal gathering where the father of the bride-to-be was asked to give consent for his daughter to marry. In some areas, a friend of the groom would ask for the bride’s hand in marriage on behalf on the groom but the bride would be referred to as something else. This ‘thing’ often related to the bride’s family’s trade. If she was from a crofting family, she might be referred to as a lamb. The groom’s friend would promise to take care of the lamb and look after it well. This would all be done in a very good-natured way. After the bride’s father consented to the union, food would be served and this would be followed by singing and dancing until the early hours of the next morning. In this recording Peter Morrison recalls how the ‘rèiteach’ was usually held a week before a wedding on the island of Grimsay in North Uist. It would be held in the bride’s home and there would be plenty of food, drink and entertainment, including witty speeches. The celebrations would last all night, until the sun rose. Another custom undertaken prior to the wedding was feet-washing. Friends of the bride would wash her feet in a tender manner in a symbolic act of cleansing. Treatment of the groom was much rougher. His feet were covered in soot and feathers. Soot represented hearth and home and was thought to be lucky. It was no longer just the feet which were blackened. The groom (and sometimes the bride!) would be covered from head to foot in all sorts of difficult-to-remove substances. This custom became known as ‘blackening’ and is still fairly common in rural parts of Scotland. Once the couple have been captured and blackened, they are paraded through the streets for all to see. In this recording, John Mitchell recalls the custom of foot blackening in rural Stirlingshire. The wedding scramble/scammle/scatter was a common occurrence in many parts of Scotland. The best man or bridegroom would shower children with coppers and silver as the bridal party left the church after the marriage ceremony. On occasion, the father of the bride would also shower children with money as he and the bride-to-be left home to travel to the church. Weddings could therefore a very lucrative affair for the local children, who would spend their spoils on sweets and fizzy drinks. In some areas the children would shout ‘Poor oot [Pour out] ye dirty brute, ye canna spare a ha’penny’ in order to encourage the best man or groom to fulfil their duty. The custom was believed to bring good fortune to the married couple. Alice Maud Hailstone describes scrambles which would take place at weddings in Fintry and what the children would shout. Wedding cakes are a common feature of Scottish weddings today but in earlier times there would be a ‘bridescake’. This would be made by the bride’s mother and was often made of scone or shortbread. A portion of the cake would be broken over the bride’s head and it signified a fruitful marriage if it broke into small pieces. Margaret Tait and Ertie Irvine discuss how this custom was carried out in Shetland and what the people would do with the fragments of cake. As with other cultures, food and drink were central to marriage celebrations in Scotland. In rural areas, wedding celebrations were often held at home or in outbuildings and the couple’s family, with help from friends and neighbours, could spend weeks preparing and cooking the wedding feast. Ethel Findlater discusses the preparations undertaken for farm weddings in Orkney and the celebrations on the wedding day itself. Thanks to Elsie Maclean, Tobar an Dualchais, Sabhal Mòr Ostaig, Isle of Skye for this post. All recordings © School of Scottish Studies, University of Edinburgh. I’ve been to a couple of Romanian weddings, where the false bride custom also prevails, with a lot of joking and railery going on. My Romanian isn’t really up to following it all, but even without words it can be funny. There is also food throwing, but in this case it’s bread, which the bride breaks and throws over her shoulder towards the guests.